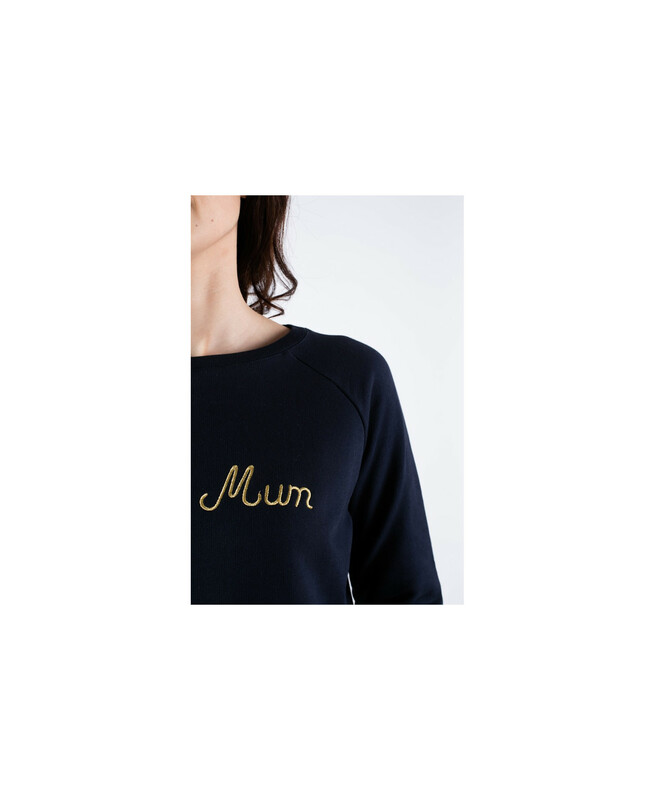 Our "Jolie Mum" sweater for all the mums and mums-to-be! 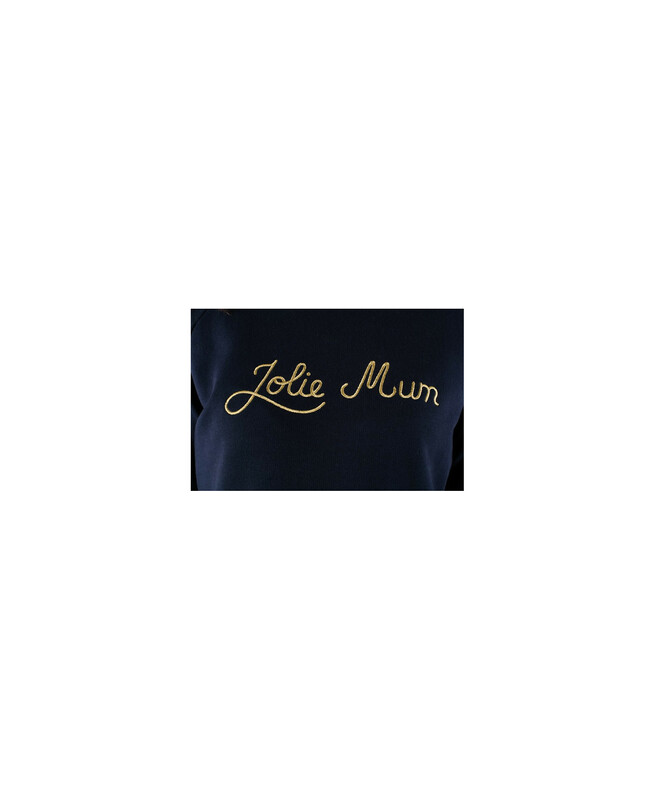 The "Jolie Mum" message is embroidered on a soft fabric, for a feminine outfit during and after the bump. 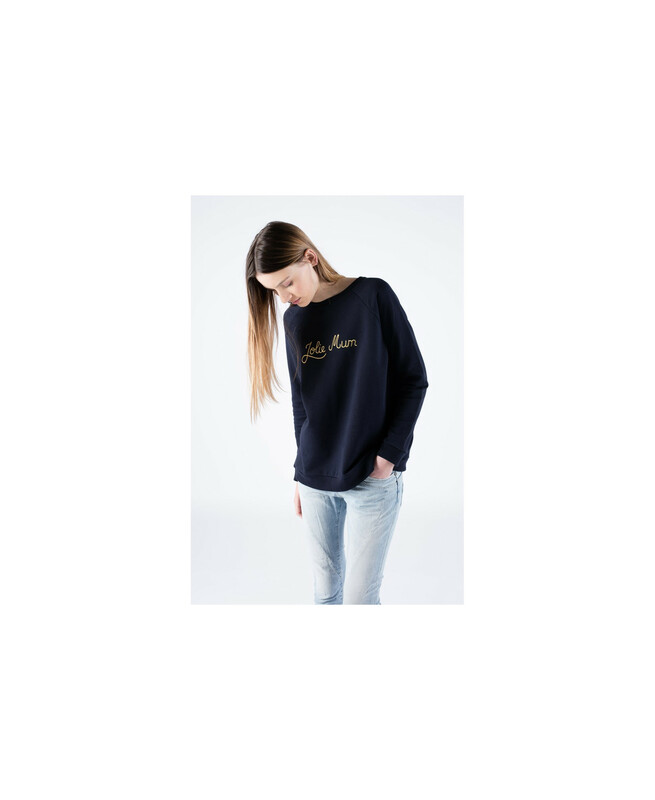 It exists en 2 colours : golden embroidery on a navy soft fabric, or light copper embroidery on a beige flecked fabric.